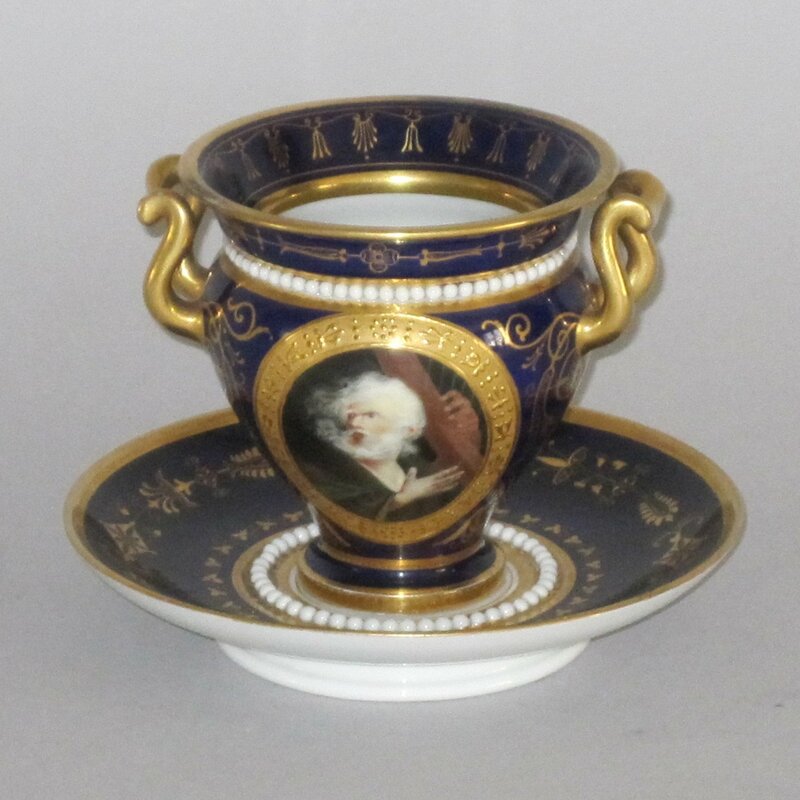 A FLIGHT BARR & BARR WORCESTER PORCELAIN CABINET CUP & SAUCER, CIRCA 1810-13. Having gilded decoration upon a deep blue ground and white pearl beaded borders. The cup with a painted named figurative scene within a raised gilded border, depicting a scene from The Bard: A Pindaric Ode III.1, by Thomas Gray. "Visions of glory, spare my aching sight" The cup fully marked in grey script under: Flight Barr & Barr Royal Porcelain Works Worcester London House No1 Coventry Street. The saucer with the most elabourate makers marks in red of an enclosed circle surmounted by the Royal Coat of Arms with the Prince of Wales feathers.